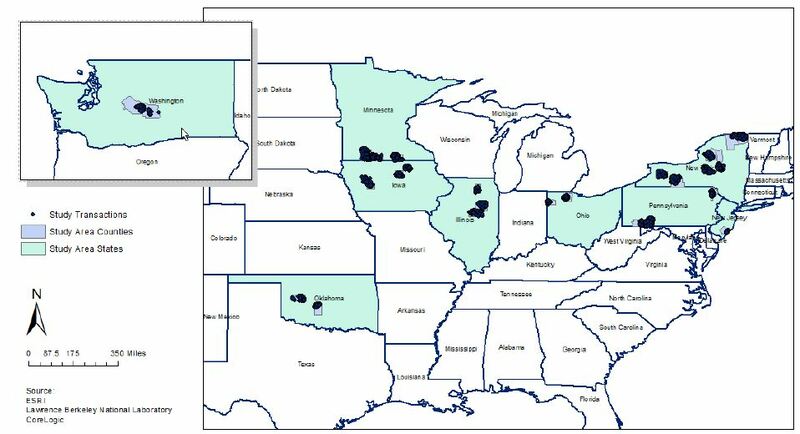 Ben Hoen, the lead author of the new report says “Although there have been claims of significant property value impacts near operating wind turbines that regularly surface in the press or in local communities, strong evidence to support those claims has failed to materialize in all of the major U.S. studies conducted thus far”. Northeast Engineers & Consultants has completed the construction of a 10kW wind turbine at the Salty Brine Beach in Narragansett, RI. The turbine will provide power to the newly constructed, energy efficient Bath House. We worked closely with our client, The Rhode Island Department of Environmental Management, to contract the specified wind turbine and a monitoring system that will show beach visitors the historical and instantaneous power output of the turbine. Construction began with the assembly of the 100 foot lattice tower, which was constructed on it’s side, in the adjacent parking lot. The turbine was then assembled and attached to the top of the tower with the use of a 100-ton crane. After the completion of the electrical system, the tower and turbine were hoisted and placed on the concrete foundation. The state of Rhode Island will enjoy this renewable energy project for years to come. The grand opening ceremonies for the new facility took place on May 24, 2010. The event was open to the public and attended by Governor Donald Carcieri, Senator Jack Reed, Congressman Jim Langevin, Wally Brine, Jr., and other state and federal officials.